Amidst the busy streets of Hong Kong, we found this LED light box sign by China Unicom. It was a small LED light box that hangs on the wall outside of the shop and although unnoticeable during the day, it definitely makes an attractive signage at night. The brand is getting fantastic exposure outside of the shop through this simple outdoor display. It’s recognizable in its orange and white brand color. The LED box is just the right size-perfect for small shops along busy streets. Like this idea? Below, we share the reasons you need a LED light box, such as this one, for your business. Stand Out In the Dark: This is especially important for retail stores to stand out when it’s dark out. Customers will be able to spot your retail shop easier with a hanging light up box. 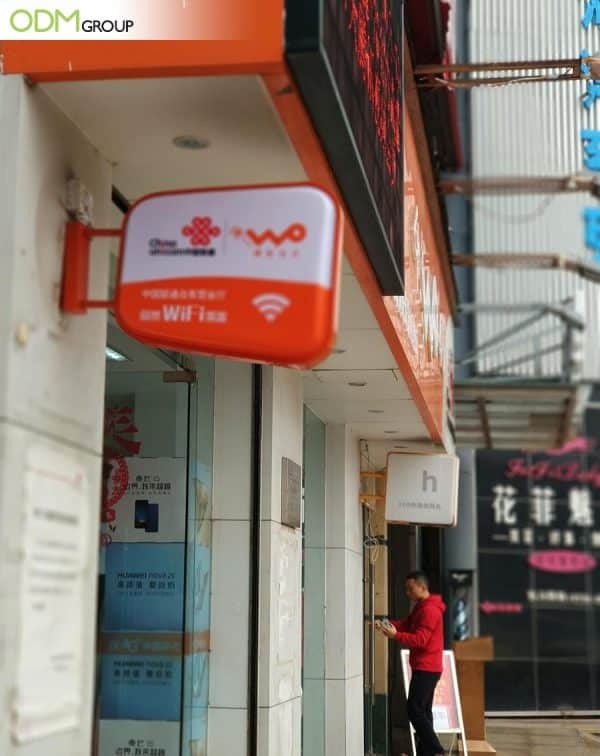 In this case, China Unicom was able to attract customers from all directions because it simply shines bright amidst the bustling crowd. Practical: It is a fantastic investment that a business can use long-term. The benefits far outweigh the initial cost of production and set up. Simple Designs Are Effective: While it is great to have eye-catching elaborate displays to drive store traffic, simple designs with clear messages are still preferred by more businesses for commuter advertising. This is because most commuters and shoppers are in a hurry to actually pay attention to your display. As such, advertisements should be straightforward and easy to understand, just like what China Unicom did with their hanging LED light box sign. What is also great about LED is that it is energy-efficient. Meaning, it has minimal consumption than Neon, which is another popular signage option. Our previous blog, LED vs Neon signs will give you an idea as to which option is more effective and will give more value for money. Moreover, there are so many design options when it comes to designing your LED POS display and signages. Below is a wonderful example from Marlboro. It is a standalone LED display found outside a store in Tokyo. What We Learned from This? 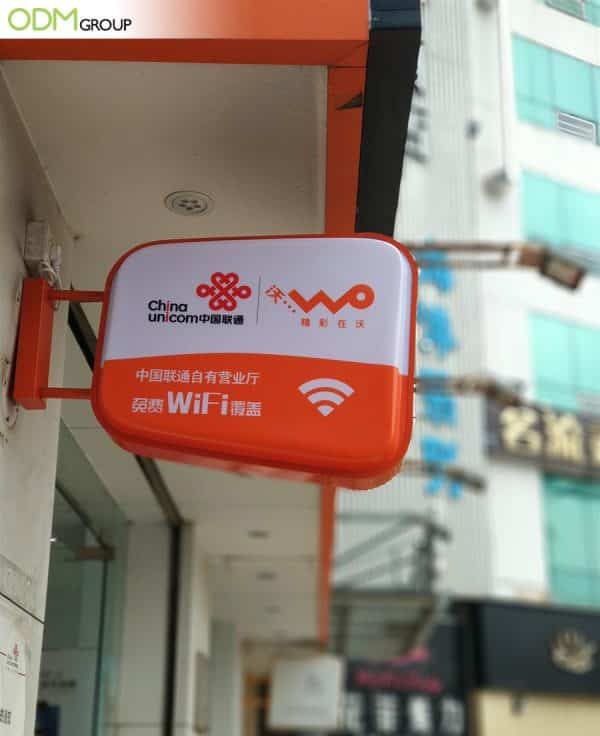 China Unicom definitely got the most out of their marketing budget with a simple, practical, and cost-effective LED light box sign. You can also reap the benefits of using LED signages if you start thinking about your promotions now. If you don’t know where to start, The ODM Group can help you out. We have product designers and merchandisers who can help you from product brainstorming, to sourcing and manufacturing. Speak with our staff today!